Being a Founder devotee for quite a long time now I am one of the many first timers when it comes to spending any amount of time with this brew. As far as it's color the expression "none more black" can be bandied around at first look. Held up to the light though it gives off a dark ruby hue. The tan colored head is a modest one finger, melts fairly fast leaving a constant cap that leaves a thick lace behind with each sip. A smell of dark roasted coffee is big the front followed by scents of pumpernickel bread and notes of chocolate. A mix of black coffee and pine resin come out first in the flavor. The hops are quite present but work well with the roasted malt nuances. Those begin to intermingle with tobacco, baker's chocolate and a good amount of wild rye throughout the middle. It finishes with an equal amount of charred wood, grapefruit peel and just a hint of purple grapes. Interesting in it's complexity all the way through. Founders will be brewing this to March of 2015. 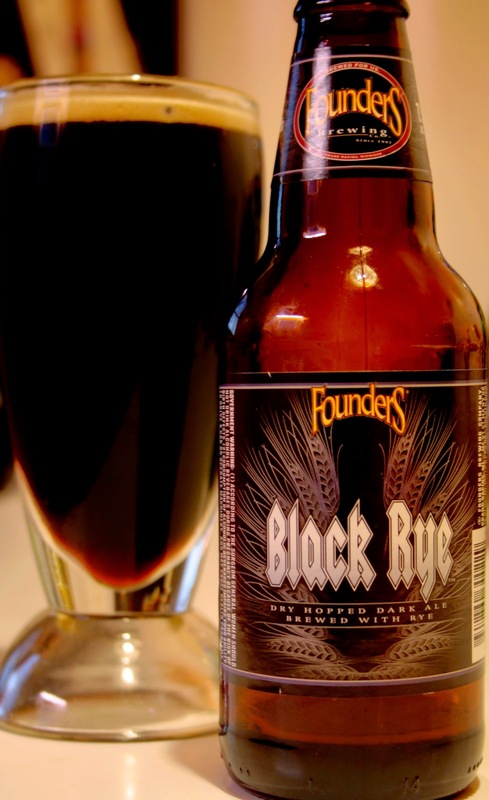 If you are looking for something on the darker end of the beer spectrum but for something different than a stout or porter consider this as a choice to put on your list.